The winter rains subside, the spring sun starts to warm the air, and the atmosphere in the San Joaquin Valley of California is sweet. 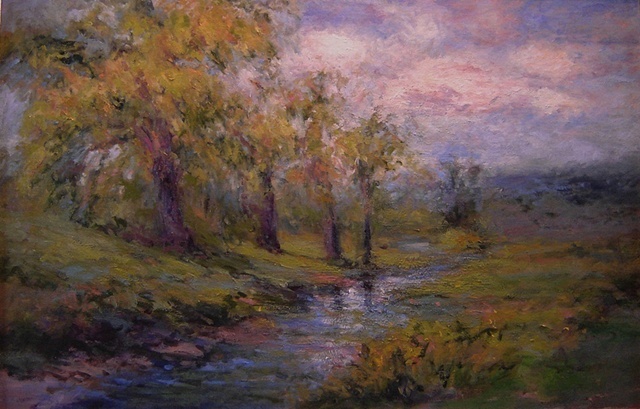 This original oil painting depicts this feeling of spring, with shades of color in green, blue, pink, violet and ochre. The pastoral effect of this canvas made it an award winning work in 2012.